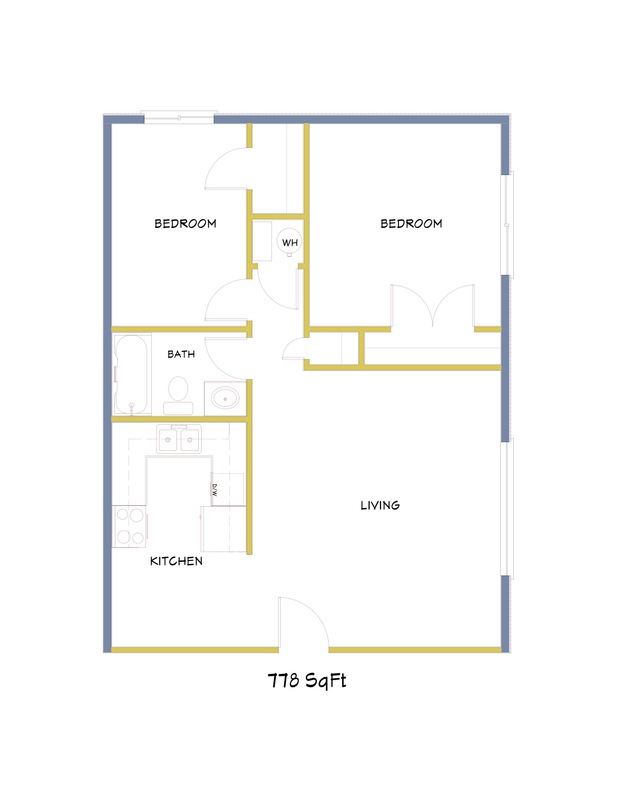 Small one bedroom: 470 square feet; $405.00 rent per month; $405.00 security deposit. 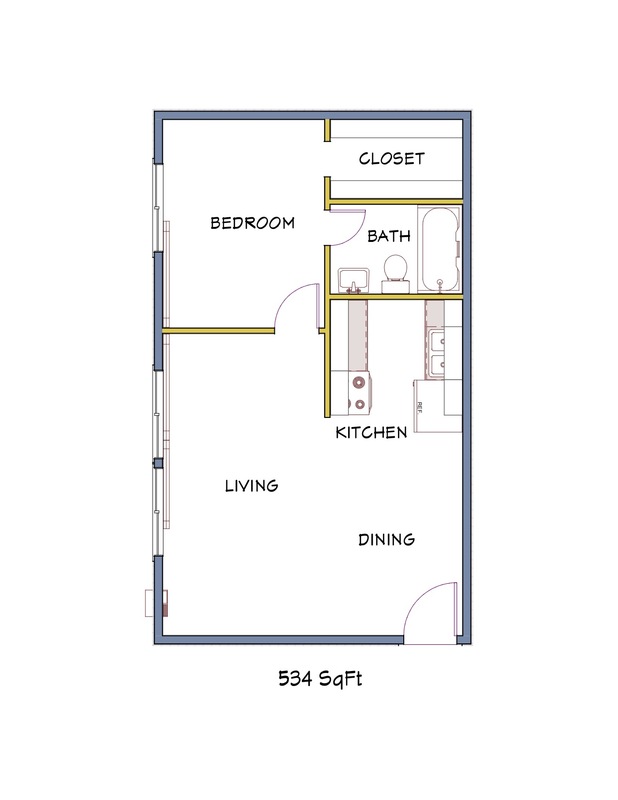 Large one bedroom: 534 square feet; $430.00, $435.00 and $475.00 rent per month; security deposits are the same as one months rent. 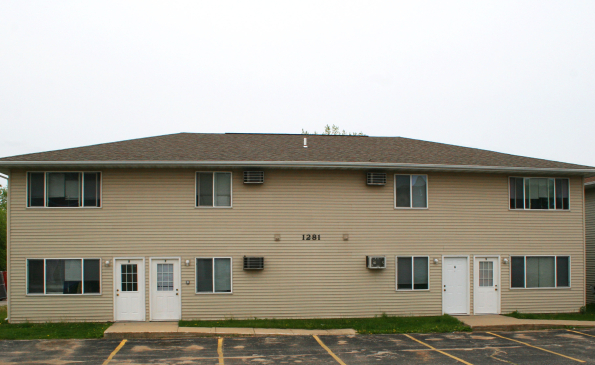 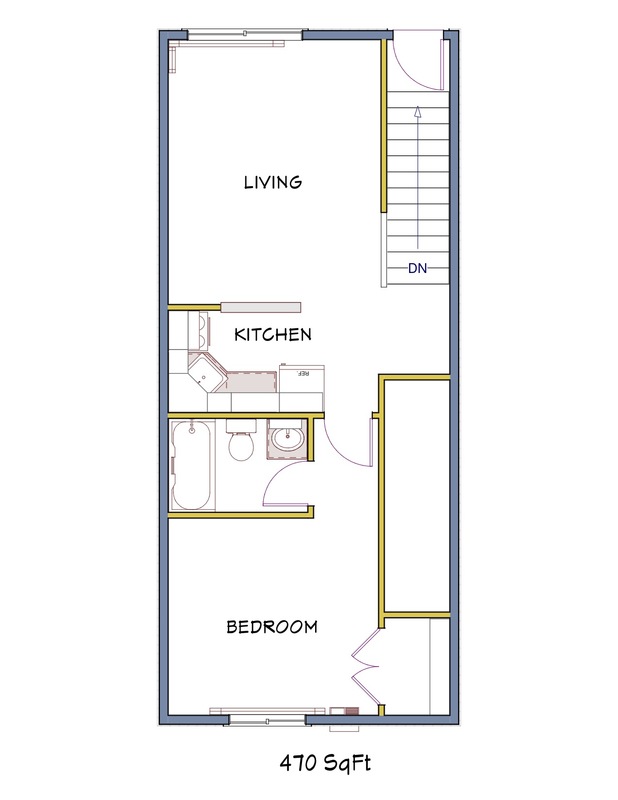 Two bedroom apartments: 778 square feet, $595.00 rent per month, $595.00 security deposit.